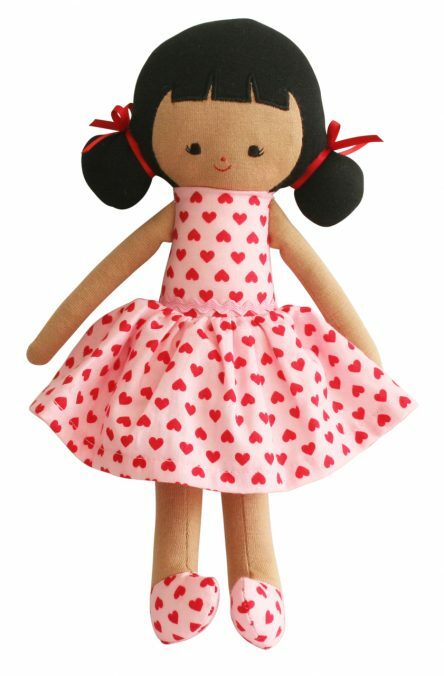 The Alimrose Designs Audrey Doll would be a lovely gift for that special little girl. Audrey looks just adorable in her heart print dress and matching shoes! Audrey is an Alimrose classic. She makes the perfect ‘first doll’. With no removable/small parts she is a great first companion for your little one. Cotton dress & shoes to match!